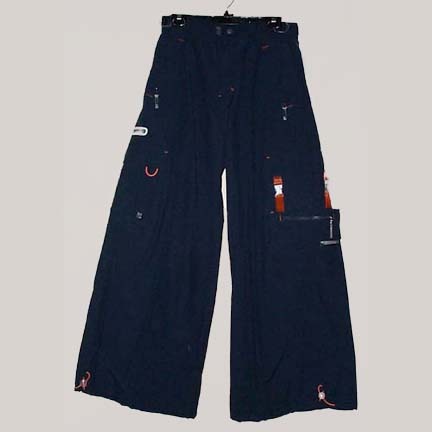 Kikwear Clothing Lighter Wide Leg Pant. Men's nylon pant with cargo pockets and plastic zip hang tags. Draw bottoms.